Breadth and depth of squad grows! When a number of fixtures were being cancelled following the storm the night before, Hove came up trumps with a great pitch, hospitality and an all round enjoyable game of rugby! Both coaching teams and the players got a lot from the match. 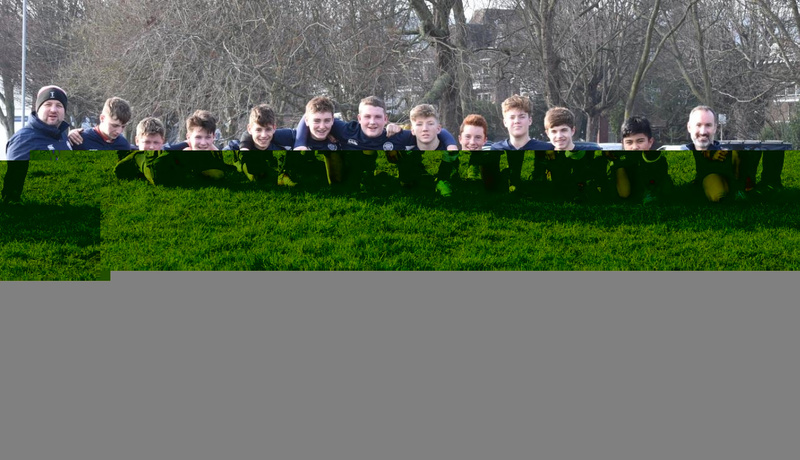 Our thanks go to John and the Hove U15's team. Similarly to our first fixture of the season against Brighton we travelled to Hove with 5 of our regular first 15 unavailable due to recovering from injury (mostly from other sports I add) or family commitments. This presented a great opportunity for all 16 U15's players we had available to play, but in particular for Tom (wing), Harrison (2nd row) and Louis (fullback) to gain valuable experience in different positions and extended game time. Considering it wasn't long ago that all three were playing regularly with the Barbarians the way they embraced the opportunity and performed was fantastic! Currently top of League 2 we were under no illusion that Hove would be a strong opposition. Both coaching teams discussed and agreed beforehand that they wanted to use this match as a true development opportunity, with Hove looking to get all 26 players they had playing at some point and ourselves looking to experience playing under as much and different types of pressure as possible. The outcome was positive and with the pressure of our own team changes, us regularly forcing difficult decisions into the team and facing the different Hove players in changing positions the boys played stronger and with more discipline as the match went on, with only a few penalties given away. Well done to everyone for strong individual and an overall team performance that continues to show the breadth and depth of rugby developing within the squad.